Searching a male ancestor from New Zealand? Jury duty officially began in New Zealand on December 23rd, 1841. 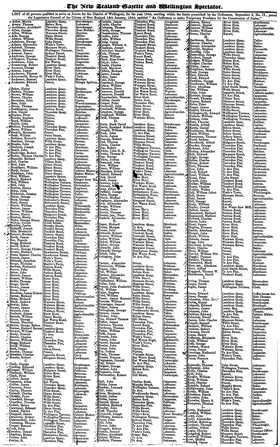 These jury rolls include all individuals who were qualified and liable to serve as jurors – that is every male, British subject between the ages of 21 and 60 who resided in New Zealand, and who had not been convicted of treason, a felony or perjury (unless he had received a free pardon). "What information can I find on these rolls?" This is a comprehensive genealogy tool worth searching for anyone researching family history or building a family tree.